The smile that loves to play hide and seek. His unstable flight could land. Only stars are your worthy praiser’s…. P. S. – Happy birthday once again. 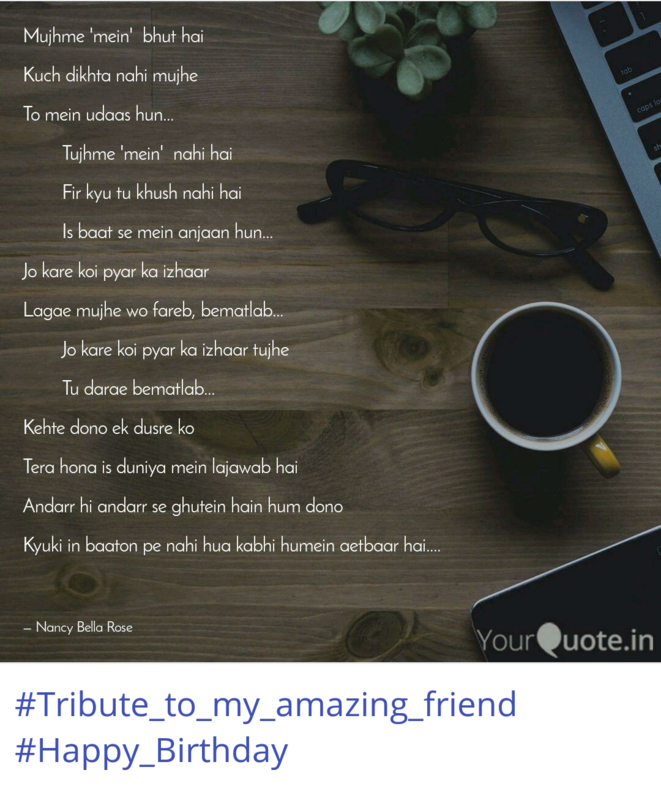 I hope years from now when you have become a well established writer, your eyes fall upon this post and make you remember of our college days, all friends. And how we believed in your talent then and would always. Wish you all the happiness of this world…. Next Post What to be 5 hours before exam begins ? Sensible or the silly me? Wow, aside from the curious modernisms that reads like an old fashioned ode.